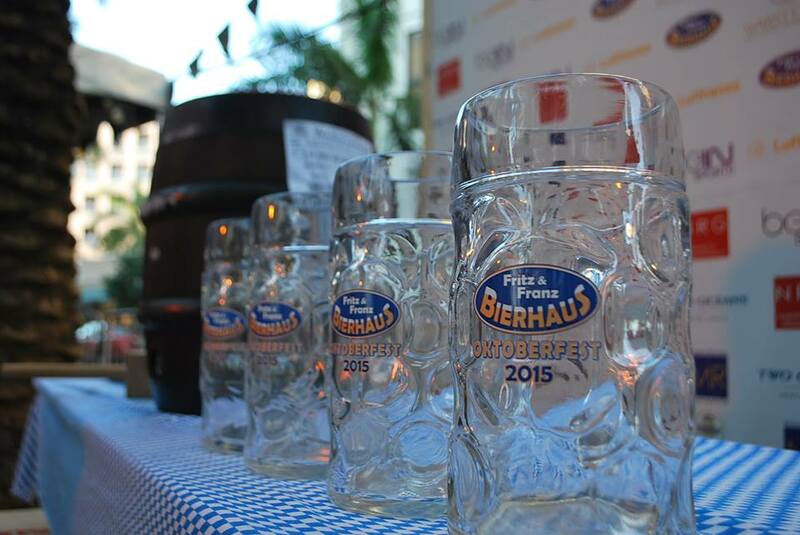 Fritz & Franz Bierhaus in the Gables is celebrating Oktoberfest and everyone’s invited to join in on the fun. Each day starting at 11am from October 1 -11 guest are able to join the festivities and enjoy German food, music, contests, and of course BEER! 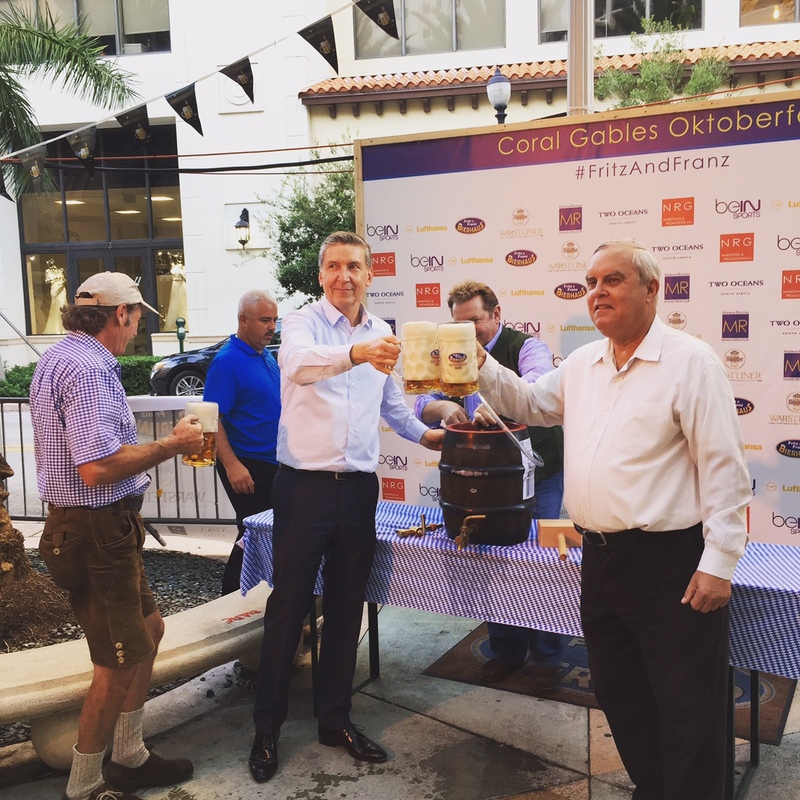 The 21st Annual Oktoberfest event kicked off on Thursday with a special keg tapping ceremony with special guests, City Coral Gables Mayor Jim Cason and German Consul Jürgen Borsch helping in the traditional launch for the 11-day event. Once the keg was tapped, live music started with Austria’s Osttiroler Bergvagabunden, Germany’s Die Vier Mandi’s and from the U.S., The Johnny Koenig Band, International Polka Band- Bavarian Bob & The Black Forest Band. As part of the celebrations, Fritz & Franz teamed up with The Woody Foundation to raise money that will help improve the lives of those with paralysis and spinal cord injuries. Guests will be able to buy tickets for food and drinks on the patio while enjoying the live music and part of the proceeds will go towards the amazing cause. Frtiz & Franz owner and recent winner of Warsteiner’s “Perfect Pour Off” national championship, Harald Neuweg was more than excited about the festivities. We sat down to try some of the traditional food and enjoyed a cold Warsteiner Oktoberfest brew (only $5 for a 14 oz cup), that’s only around during the festivities, so drink up while you can! To get you fueled up for a night of dancing and beer drinking make sure to try the Wiesenhendl mit Pommes- fresh rotissery chicken tradionally seasoned served with fries (available only during Oktoberfest), and of course you can never go wrong with a Giant Bavarian Bier Pretzel served with a delicious traditional dipping sauce- beware this is big enough to share with three or more. The menu is filled delicious authentic German food such as schweinhaxen, schnitzel, brats, and traditional sides such as potato salad, homemade mustard, sauerkraut, cranberry relish, desserts and more. 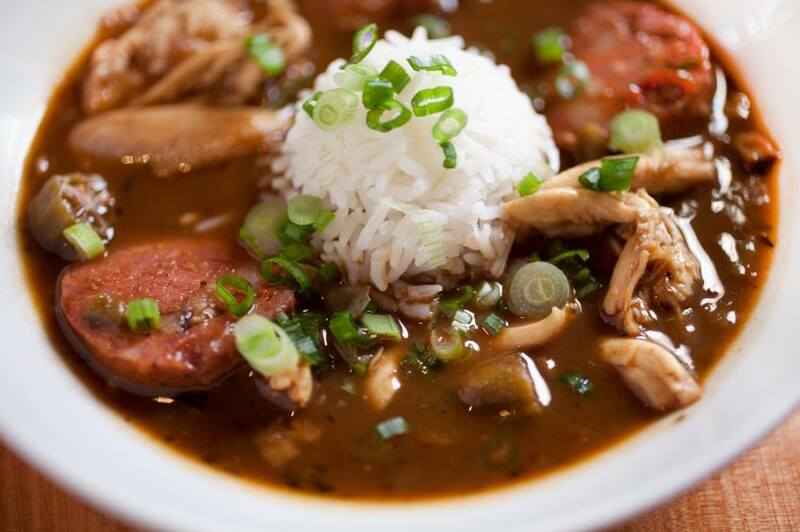 The food is so good it will have you saying “ja, ja, JA!” (yes, yes, yes). Gentlemen get your Lederhosen ready and ladies don’t forget to rock your dirndl, it’s Oktoberfest in the Gables- Trinksprüche!